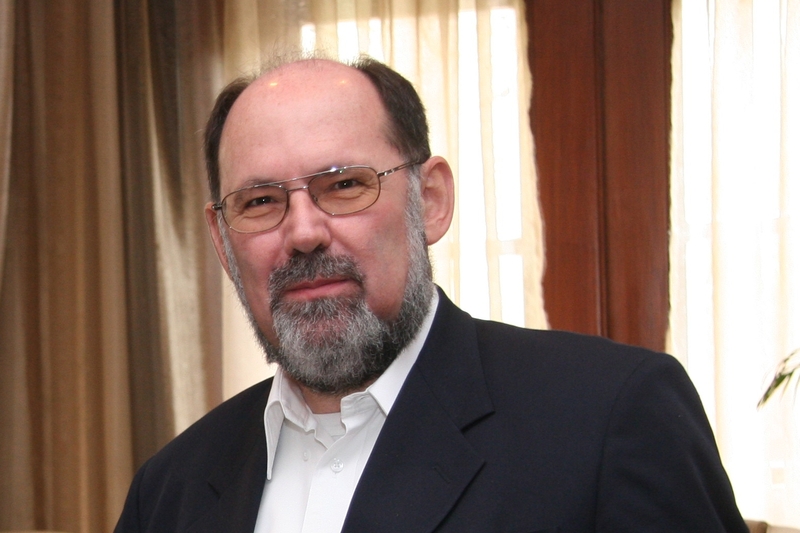 Mr. Alain Spohr had joined Alstom Transport India on 1 September 2017 as Managing Director for India and south Asia cluster based in Bengaluru, India. As the Managing Director of Alstom India and South Asia, Mr. Alain Spohr is responsible for expanding the Alstom footprint in the country and for ensuring optimized delivery for on-going projects. Mr. Spohr brings with him over 35 years of experience and has been associated with the Alstom group in France on and off since 1982. He has since held several positions heading different business verticals and practices. At the outset please accept our heartiest congratulation on successful delivery of 15 metro train sets to Lucknow Metro Rail Corporation (LMRC). When another train sets is expected to deliver? Thank you. We are committed to take mobility in India to a higher orbit. Delivering 15 metro trains to Lucknow Metro Rail Corporation (LMRC) is an important milestone in Alstom’s journey and we are committed to delivering the next set of trains within the stipulated timelines. Before starting any further query, we would like to know about your company vision, mission and working culture? To become our customers’ preferred partner for transport solutions by 2020 is the global vision of the company. To achieve this vision, Alstom’s commitment is to deliver top quality solutions that are tailored to meet customers’ expectations. This means that all our actions involve adopting clear priorities, increase our speed of execution that differentiates us from our competitors, and become able to report the achievement of our business objectives. This drives our work culture with compassion. What is your working experience with Alstom? In the 36 years that I’ve been a part of this company, a major chunk of it in India, in various Country Business Leadership functions involving project management, engineering, and industrial operations. With Alstom, my role is not just to nurture and build the business here in India and South Asia, but also to take mobility in India to the next level. To be such a crucial part of people’s lives and to get technology to improve the way we move around is a stupendous, most fulfilling challenge. There’s much to do, much to learn. What is Alstom’s India strategy? So far, in India, Alstom is known for the metro projects in Kochi, Lucknow, Jaipur, Bengaluru and Chennai. It entered in the Indian market decades ago with its LHB technology for coaches for the premium Shatabdi and Rajdhani trains. In the mainline network, Alstom’s Signaling & Power Supply Systems are a part of Eastern Dedicated Freight Corridor. 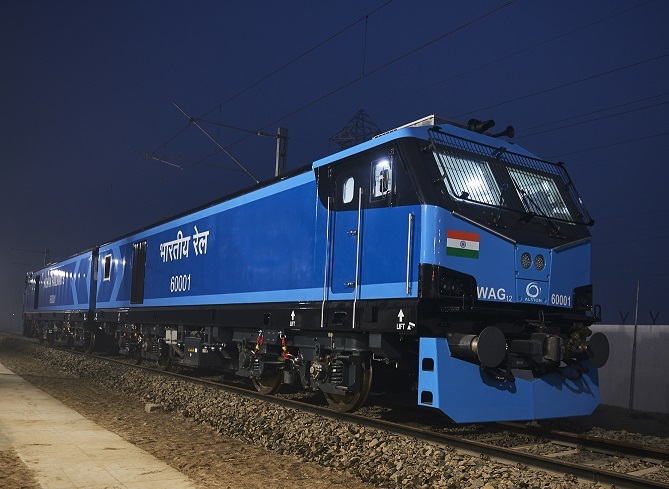 The company’s footprint is further strengthened with the new fully-electric locomotive factory in Madhepura in Bihar which is the largest FDI that Indian Railways has ever entered. The high horse power locomotives manufactured there will be the most advanced in the Indian railways fleet. We are proud to be associated with the Indian Railways for this project. We are keen to forge several partnerships like these to upgrade the mobility infrastructure of the country. Besides, there are several projects and initiatives by the Ministry of Rail focusing on signaling upgradation, upgradation of rolling stock and electrification which are likely to have a positive impact for Alstom. We want our mobility solutions to be considered as the benchmark technically, economically and environmentally for mobility in the country. Combined with this is our strategy to make India our manufacturing hub for international markets, having successfully delivered export projects out of SriCity this year. In line with our growth and investment plans, we have chalked out our recruitment plan for India too. We are building a talent pool that can cater to the dynamic needs of the industry in an efficient and responsible manner. Alstom aims to bring India’s Manufacturing hub to International market will be a full field? It is already happening. Sri City, near Chennai, is our state-of-the-art manufacturing facility that manufactures and supplies rolling stock for the current metro projects running in the country. From here, expansion across current metro systems will continue to be strong drivers for Alstom’s business in India. Our aim is to make Sri City, Alstom’s export hub, and our Bengaluru center the innovation hub for mobility solutions. Alstom is highly aligned to make in India. Is its alignment is really beneficial for ‘Make in India’ project? Make-In-India has been a strong propeller of growth in the manufacturing space. It has encouraged companies to manufacture their products within the country and increase the amount of investment in the country. Alstom has been a strong proponent of this initiative and our solid localized footprint in the country is a testimony of this policy. Our Kochi, Bengaluru, Chennai and Lucknow metro projects were all executed out of our Sri City plant and our engineering Centre in Bengaluru. The Kochi Metro project was in fact the first example of a 100% Made in India metro project where we executed end-to-end solutions ahead of schedule – power, tracks, signaling, rolling stock at all. Our Madhepura project is yet another exemplary endorsement of the Make-In-India initiative, not just because of the manufacturing and localisation component but the level of social upliftment that project has brought to the region. Around 90% of the components used in the manufacturing of the locomotives are locally manufactured and Alstom is setting up an infrastructure base in Madhepura to invite our supply chain partners to set up their manufacturing units around the e-loco plant to optimize production and supply processes. ‘Make in India’ has renewed our commitment to make long-term investments in India and strengthen plans and delivery on ground. It is really good for business. How has Alstom played a crucial role in Indian Railways? We have been a part of India’s mobility journey for over five decades, and we hope to continue in the same track. Alstom believes in working closely with the Government to contribute towards nation-building. Our manufacturing unit in Madhepura in partnership with the Indian Railways is the largest FDI in Indian Railways, to build 800 state-of-the-art fully electric locomotives. The speed, power and efficiency of these newly built locomotives will redefine the heavy freight transportation in the country. This contract requires two maintenance depots in the country – one in Saharanpur and the other in Nagpur. The modern depot at Saharanpur is ready and about to commence operations. The depot will help in the upkeep of locomotives with predictive maintenance technology. It will also act as a training center for loco pilots and contribute towards skilling India. Our work on Dedicated Freight Corridor, is another project we are proud to be associated with. This corridor will decrease traffic in the mainline network and increase speed and efficiency of freight movement. With such a comprehensive array of partnerships to improve the rail infrastructure of the country, with a billion plus population, the work is far from over. We take pride in our work done so far and simultaneously acknowledge the challenges that lays ahead of us. Alstom has successfully designed Kochi Metro under ‘Make in India’ project was first project under ‘Make in India’ program. Share your experience with this project. 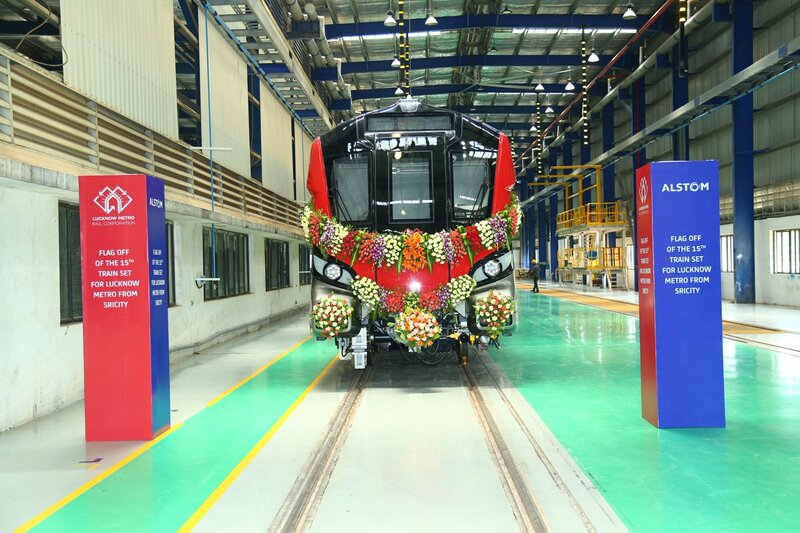 Alstom-built metros for Kochi are the first to have been entirely designed in Bengaluru and manufactured at Sri City supporting the Government’s ‘Make in India’ campaign. Hon’ble Prime Minister of India, Shri Narendra Modi, inaugurated the project. It reinforced our vision to become the preferred partner of cities, countries and operators and provide our advanced mobility solutions. 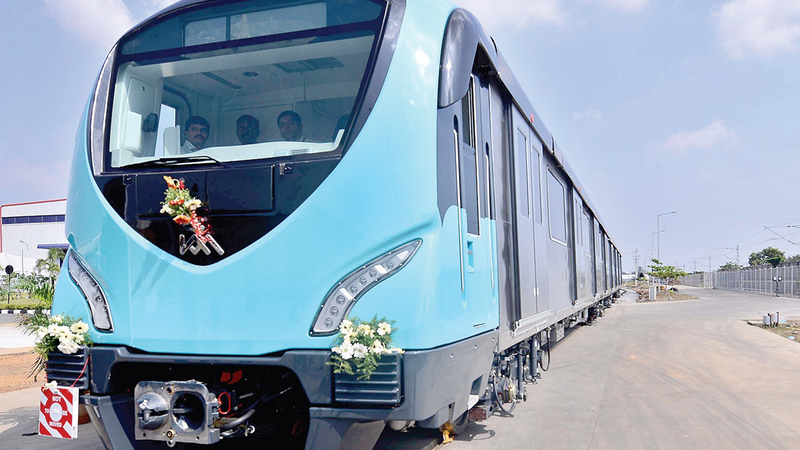 Alstom scored a lot of industry-firsts with the Kochi Metro Project. It was the first Communication-Based Train Control (CBTC)-based metro to be commissioned in India. CBTC controls the movement of trains precisely, allowing more trains to run on the line at higher speeds in total safety. Our goal was to deliver an innovative and effective mobility solution for the people of Kochi. Alstom is investing a lot in India, while other MNC company dares to invest. What such fascinate you in India for such a huge investment? Any business venture should make commercial sense. When we consider investing in a country we evaluate market potential, availability of talent and government support. India’s market potential is high because the country requires rapid modernisation, adoption of newer, safer and more sustainable technology, due to quick urbanisation. Large structural changes need constant support. Metro Rail News publication can help maintain the optimism and enthusiasm of engineers, officials and people associated with this dynamic industry. Geographically, India is strategically located that also helps us to assuredly deliver projects across Asia, Middle East and even beyond. We also have been able to tap into the large, skilled talent pool available in the country – bright, young minds that are helping us develop sustainable solutions for projects worldwide. We employ close to 3,600 people in India which makes it our biggest centre of operations after France. With the Government’s Make in India and Skill India initiatives, we find our business goal completely aligned with the country’s vision. I do not know about other companies but conducting business in India and from India makes sense for us. Apart from publishing daily news updates on Metro Rail News portal, Our Monthly Magazine covering chronicle development in urban transport in India. How do you think we can partner with railway industries across the country to popularize their project developments? Large structural changes need constant support. Your publication can help maintain the optimism and enthusiasm of engineers, officials and people associated with this dynamic industry. For more details, please read Metro Rail News (Monthly) Magazine.